In case you are actually moving to Berlin or at least planning to stay a little longer than just a couple of days, you may want to consider looking for an apartment to rent. Most Berlin apartments are rental apartments. Even though buying an apartment has become more and more popular over the recent years, renting is still the standard. Buying is considered an investment – renting is for living. Renting an apartment in Berlin is still relatively affordable – at least if you compare Berlin’s average apartment rent with what you would have to pay in other cities like Paris, London or new York. But finding an affordable apartment has actually become more difficult than it used to be. But if you don’t insist on living right next to one of the more popular hotspots, and also otherwise are willing to accept the one or the other compromise regarding the size or the location of your future accommodation, you should be able to find a place for a reasonable monthly rent. But be aware that many little details might be different, work differently from what you might be used to. When renting an apartment you’ll have to take care of many different things: from organizing the trash and recycling to operating the heating. Rent is usually calculated by square meter. The larger the apartment, the lower usually the per-square-meter price. therefore small apartments can be relatively more expensive than large apartments. So it could be a good idea to team up with some other nuBerliners and rent a larger space. Shared apartments have been a common and popular thing – and they still are. But not all landlords will like the idea of renting out to a group of people, instead of having just one tenant. The new rent cap law you might have heart of has somewhat had some positive effect of Berlin’s apartment rents – but the impact is actually less than one might think when reading about it in official statements. Actually as time went by it turn out, that the rent cap law probably didn’t have any effect at all – but of course it’s difficult to say what the situation would now be like, if there hadn’t been the rent cap law. Anyways – there’s lots of room for speculation. The monthly rent usually does not cover costs for heating and electricity – it is usually called ‘Kaltmiete’ which would translate to something like ‘Cold Rent’. Even the costs for operating the house are not always mentioned in the initial offer, so even if the ‘per square meter’ price tag looks ok, costs might sum up. The difference between “Netto-Kaltmiete” and “Brutto-Warmmiete” can easily be 20 to 40 percent of the initial ‘per square meter’ price tag. Most landlords will ask you for a deposit (‘Kaution’) – usually three times the monthly rent (netto). So if the regular monthly netto rent would be for example 500 Euros, you should be prepared to have some additional 1500 Euros at hand. The most common procedure is to open a deposit account – most Berlin banks are familiar with that practice and offer special accounts just for this purpose. This type of bank account is called “Kautionskonto” or “Mietkautionskonto” – and while the bank account and the money in it basically remains yours, the tenant won’t be able to access that money while the apartment is rented, until the rental contract ends. Berlin rental apartments are usually not furnished apartments. A kitchen sink and a stove should be available, but could also be missing. Don’t expect to find any cupboards, cabinet, closet or the like. Sometimes even the light bulbs might be missing. Usually a rental apartment in Berlin is just the apartment itself – empty rooms – unless furniture is actually mentioned in the original offer. To rent an apartment, you will have to sign a contract. Usually these contracts are standard contracts you can get from the local stationary shop. However you must of course read and understand the contract, before you sign it. You should also go through the apartment together with the landlord and write down ‘the condition’ of the apartment – or at least just everything that looks ‘suspicious’ to you, like damaged doors or broken sinks or the like. This is common practice and should help both tenant and landlord to avoid misunderstandings. Where to find an apartment for rent? In Berlin, as in many other big cities, there are various options where you can look for a rental apartment. First you should probably try to decide where you would actually like to live, how much you want to pay and what type of apartment you would like to live in. My all time favorite way to finding a rental apartment in Berlin is probably not really practical for everybody, but still: ask somebody. If you happen to know somebody living in Berlin, chances are that he/she knows somebody who knows somebody… and all of a sudden you have a network of dozens of potential “apartment agents” at hand. If you already happen to be in Berlin, asking people can of course be a lot easier. Some people hang up notes “Looking for an Apartment” in areas where they would they would prefer to find some rental space. Other look up the telephone number of the house management of a particular house they would like to live in. Then there is of course the classified ads. While some years ago you could be lucky to find an add in the Sunday edition of Tagesspiegel and Berliner Zeitung, today those adds became quite rare. Instead there are adds online. 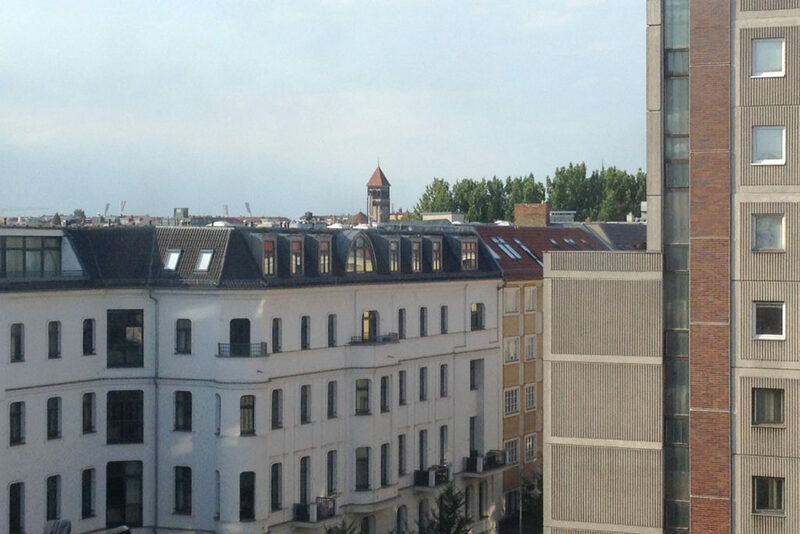 You probably have already checked berlin.craigslist.de already – or have you? You could also try Ebay Kleinanzeigen and Zweite Hand and Quoka. Those are basically “the obvious” options. Then there are basically two large web portals that have apartment listings for Berlin: immonet.de and immobilienscout24.de. Both have hundreds, if not thousands of apartments listed, but in my opinion the apartments listed on those websites are… over priced…? I don’t know… It’s worth having a look – but don’t be disappointed if you don’t find your dream apartment at a reasonable price. Last but not least: you could of course also hire an estate agent (“Makler”). While this is probably the most expensive option, it probably also is the option with the least stress involved. And especially if you are planning your Berlin stay from a distance this might be a fairly practical option. Again immobilienscout24.de has a listing you may want to have a look at. My name is Shima and I will be coming to Berlin to study on around 01/10/2016. I am looking for a 2 double bedroom preferably near Humboldt Universitat zu Berlin. We are 2 girls and out budget is about €800-€1000. We are looking to rent the place for long term. I am looking for single room apartment near Charlottenburg or Haufbahnhof or Friedrichshain. Duration is like as early as possible until 30.06.2018. I am a student of M.A in Responsibility Management in Steinbies Hochschule Berlin. I think rent of apartment should be below 450 Euro per month.